This beautiful place bears a very striking resemblance to Switzerlands topography, the well known romanticizing location. Khajjar is located at the foot of Dhauladkar , in the lap of Himalayas and is 2000 meters above sea level. A beautiful panoramic view of the densely populated forests and the meadows and snowy peaks of Himalayas can be captured. Summer months are the best to visit this place as it wouldnt be too cold and the hill station would be laden with beautiful flowers which makes it one of the most beautiful places to visit in India. 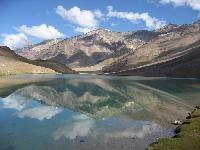 The Chandertal lake is situated between Lahaul and Spiti, the two Himalayan ranges and is at an altitude of 4300 metres above sea level. It is also known as the moon lake as its the source of river Chandra and the crystal clear waters of chandertal will not miss captivating you in its depth. Pile of corpses Sounds scary? Try our post on the most haunted places in India is how the literal translation is for Rohtang pass, for all the people who lost their lives while crossing the pass and yet in the recent times it has become one of the most popular tourist spot, attracting thousands of people with its captivating beauty.Rohtang pass happens to be one of the few destinations in India where one can go skiing as it snows for almost all the months of the year. However, it is closed for 6 months every year so be ready to witness swarms of people in the other 6 months waiting to explore this 13,000 feet high destination. Another jewel in the crown of Ladakh is the Tsomoriri Lake. Did you know that it is also known as the Mountain Lake? 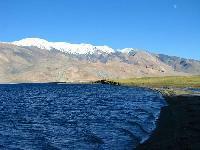 The lake is situated in Changthang Plateau, one of the highest and widest plateaus in the world is a among the must visit tourist places in India . The lake gets its name from the saltiness of it, and the fact that salt was extracted from it till 1959. You can spot some really rare species of birds here during the migratory season such as Black Necked Crane, Brown Headed Gull and Great Crested Grebe. The calmness of the lake is just perfect for meditation. 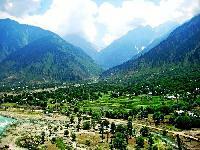 Kashmir valley is no doubt the most beautiful destinations in india. The heaven on earth tag is always linked to Kashmir for its evergreen landscapes and snow filled mountains. A visit to Kashmir should definitely include seeing the Shalimar gardens, visit to Dal lake and the shikaras and gulmarg. 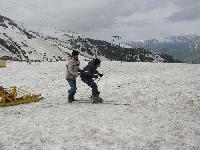 Mountaineering and river rafting are good adventure activities in Kashmir.